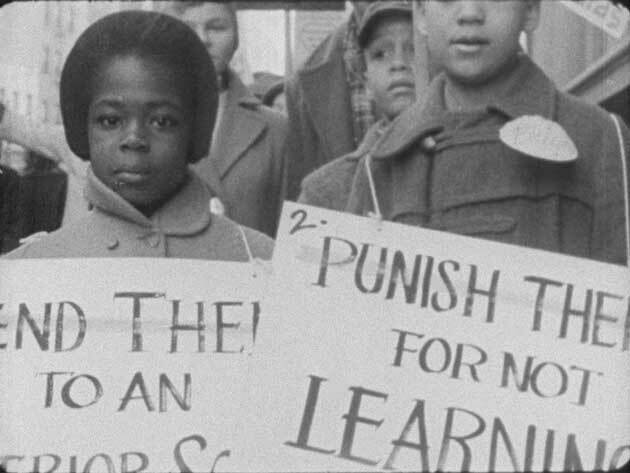 Newly preserved by the Smithsonian's National Museum of African American History and Culture and finally available together for the first time, Madeline Anderson’s three films—INTEGRATION REPORT 1 (1960), A TRIBUTE TO MALCOLM X (1967), and I AM SOMEBODY (1970)—bring viewers to the front lines of the fight for civil rights. INTEGRATION REPORT 1 examines the struggle for black equality in Alabama, Brooklyn and Washington, D.C., incorporating footage by documentary legends Albert Maysles and Ricky Leacock, protest songs by Maya Angelou, and a speech by Martin Luther King, Jr. In 1969, black female hospital workers in Charleston, South Carolina went on strike for union recognition and a wage increase, only to find themselves in a confrontation with the state government and the National Guard. Featuring Andrew Young, Charles Abernathy, and Coretta Scott King and produced by Local 1199, New York’s Drug and Hospital Union, I AM SOMEBODY is a crucial document in the struggle for labor rights. Made for the William Greaves-produced WNET program Black Journal, A TRIBUTE TO MALCOLM X includes an interview with Malcolm X’s widow Dr. Betty Shabazz, shortly after his 1965 assassination. The effects of church and religion on both urban and rural African-American life. Biographical profile of the out-spoken African-American writer.